Canon EOS Utility software is available free with Canon cameras and includes many features found in purchased software packages. 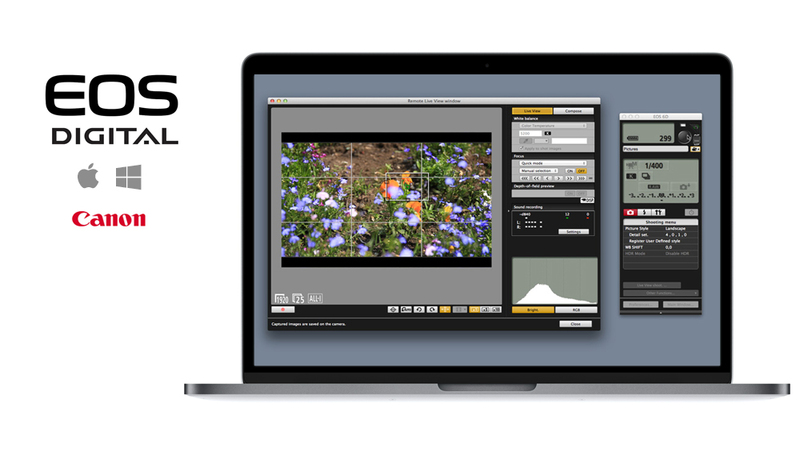 The EOS Utility is a robust full featured software package that has been continually updated to add new features. Available for Windows and Mac. You can download the Canon EOS Utility for free from Canon. *The exact configurable settings depend on camera model. Please refer to the software manufacturer for detailed information regarding capabilities for your camera.